This question comes up from time to time in various forms, from, “how much money should I save before buying a house” to “how much money do I need to put down?” or “How Much Money Do You Need To Buy A Home In Marco Island, FL?” While there are financial entertainers out there that will give you a different opinion there is a “facts-based” answer to this. One such entertainer, Dave Ramsey, suggests 20% down. He’s so popular that even popular websites like credit.com and forbes.com recommend this same amount. If you put 20% you’ll be way ahead of the game and that’s outstanding, however, with a median price of $550,000 in Marco Islan, FL, that’s $110,000 cash that most don’t have. So, How Much Money Do You Need To Buy A Home In Marco Island, FL? Fortunately for you, the answer is far less than 20%. If you’re looking for what is required to buy a home for the average American, it’s about 4% of the purchase price. On a $550,000 median price point home, that’s roughly $19,250. This amount includes a 3.5% down payment as well as money for incidentals, appraisals, and inspections while using an FHA mortgage. Which incidentally, is below the $625,000 ceiling. So what are we missing? If you take a look at this infographic, the only thing missing is the closing costs. Closing costs can add another 3% to 5% to your home purchase according to Michael Perna, an Ann Arbor, Michigan real estate agent. 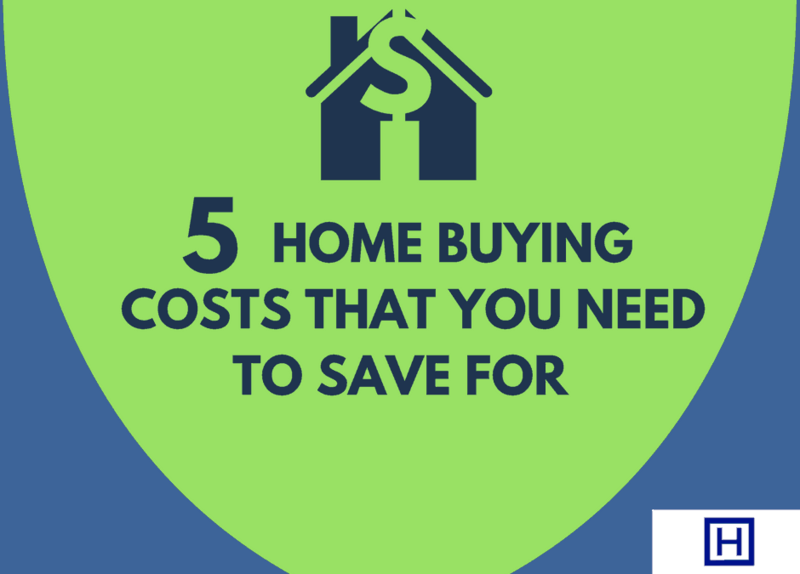 While that is a substantial cost, you can sometimes negotiate these costs with home sellers and/or have the lender work them into the loan. The down payment for standard FHA loans is 3.5%. An FHA Loan is the most common loan in America and is often remarketed as a “first time home buyer loan.” Conventional loans have the ability to go down to as low as 3% and VA loans, for our Veterans go as low as 0%. Earnest Money is handled differently from state to state. It’s essentially, the security deposit that holds the home for you while you negotiate and close. While legally you could do as little as $10 in most states, it’s not recommended to go that low. “It’s common to do a minimum of $500,” says Pam Ahern an Atlanta Real Estate Agent, “A good rule of thumb is 1%.” Earnest money does get credited back to the buyer at the closing. So if you did 1% that could be almost 1/3rd of your down payment. If you ask any real estate agent, you’ll hear the same advice. Every home needs to be inspected, yes every home. “Yes, Even Condos,” explains Jaime Westman, a Realtor in with Team Infinity in Orange County, CA, “getting an inspection isn’t just about the broken stuff, it also gives you an idea of how old and functional appliances are.” While most inspections are seen as a deal breaker type of thing in the transaction, they really can give you, the buyer, piece of mind about the overall condition of the home. According to the American Society of Home Inspectors (which may be the only “certification” an inspector may get outside a business license), the average cost is $370. Which is why we used $400 for our infographic. When choosing an inspector, be sure to ask for an example of the report as well as what they do during the inspection. For example, do they take photos of the problems and the appliances? Appraisals are a necessary evil in today’s real estate. The appraiser is likely the most powerful person in real estate. The appraiser is paid by the buyer, hired by a third party that is hired by the buyer’s lender to come up with a value for your home purchase. The appraiser sees the contract, so it’s not a blind appraisal. Appraisals can cost around $350 to $500. There are incidental or unforeseen costs to buying a home. These can come in the form of paying for a credit report from a lender, getting an additional inspection on something like an air condition or simply paying for the inspector to inspect repairs. Does every transaction have “incidentals?” No. However, we thought it would be safer to include them. “Extra costs can kind of creep in,” Brayson Verzella, a Realtor in San Antonio TX explains, “you could have the pool inspected, the HVAC system inspected and need to overnight something.” These costs rarely exceed a few hundred dollars. Should you wish to buy a Marco Island Condo, you’ll be a bit surprised by the initiation fee. Your best bet it to contact Harborview Realty and see what else might pop up in terms of costs. In Conclusion, How Much Money Do You Need To Save To Buy A Home? For a $550,000 home, about $20,500. You could need more for closing costs (about another $6,000) and of course, you might need more money to furnish the home. However, this post is all about out of pocket, liquid assets (aka CASH needed) to purchase a home. So if your goal is to purchase a home in 2018, then all you need to get started is just a little over 4%.